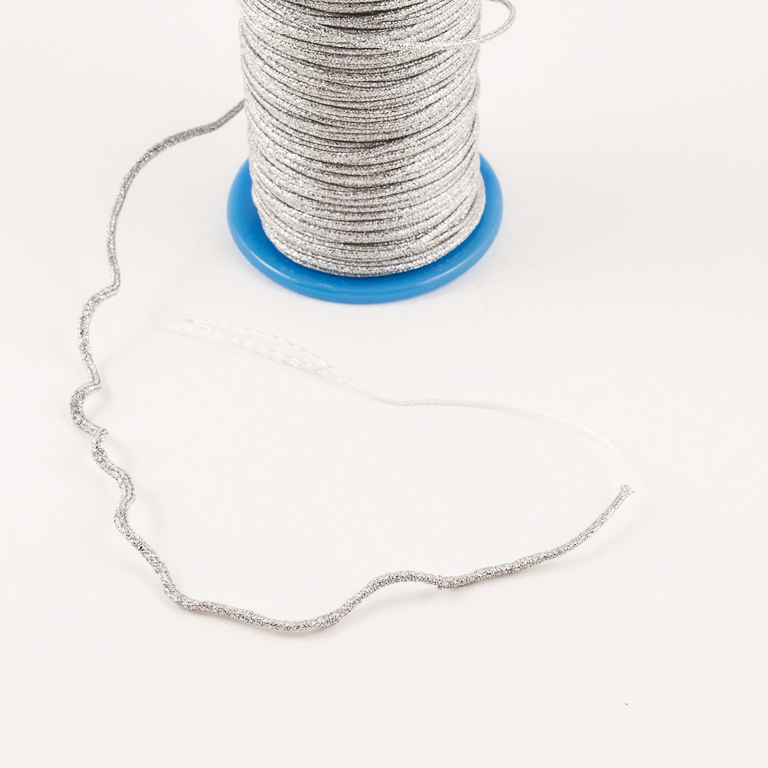 Cord with metal texture in silver colour, 1mm width. Inside the cord there is a thin thread that can be strained when pulled. The unit price corresponds to one meter.